How fun is this? I love it! 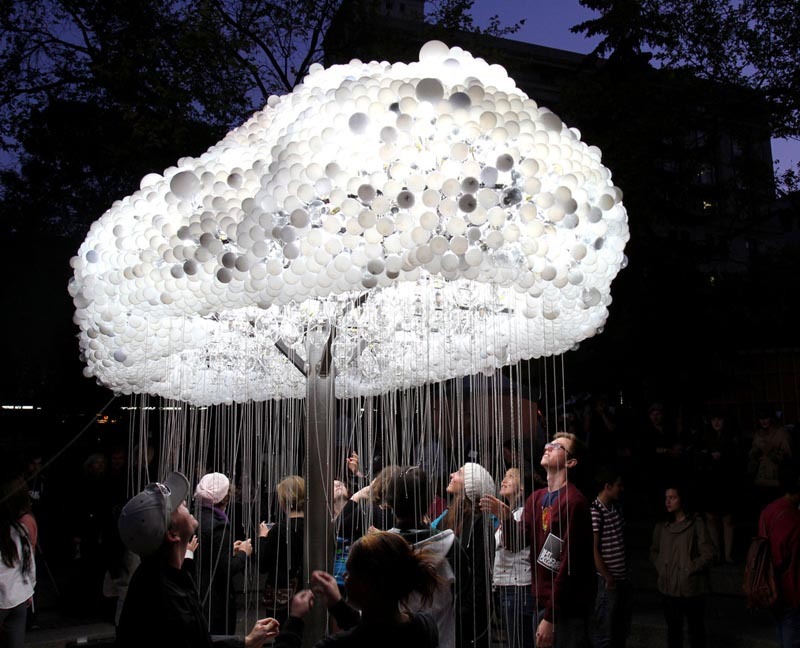 Calgary-based artist and filmmaker Caitlind Brown created this wonderful large-scale light installation/sculpture titled Cloud, exhibited a few nights ago at this year’s Nuit Blanche in Calgary. 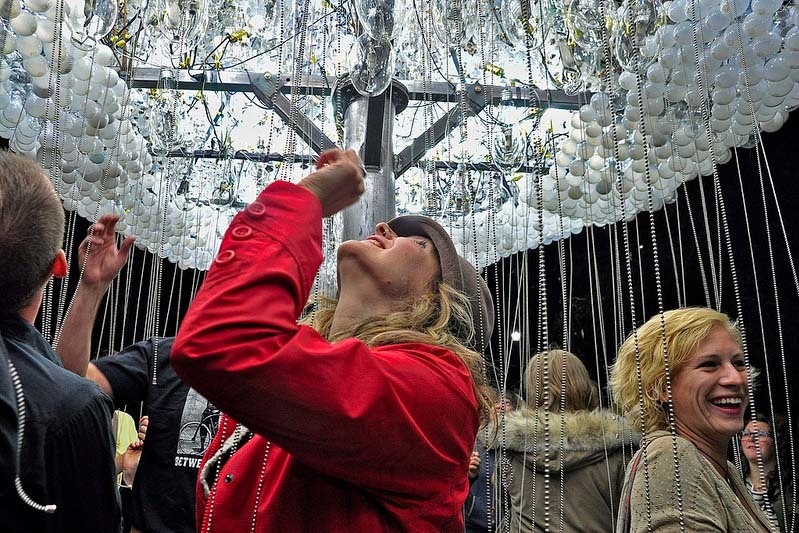 Made with more than 5,000 reappropriated domestic light bulbs (only one in every six bulbs actually needs to glow), in addition to compact fluorescent bulbs and chain pull strings, Cloud invites viewers to wander through a rain of pull strings switching lights on and off. When audiences activate the Cloud‘s inner sphere of light bulbs it creates the illusion of lightning on the cloud’s surface. Too clever! Photos courtesy of James Tworow, Lori.Jane, and Posilucky’s flickrs. I had the opportunity to volunteer at this event, and it was spectacular! The sounds of the lights clicking on and off sounded like rain on a tin roof. Wow. I would never even have thought of that. That just adds to an already impressive work. Thanks for the info! Very neat! You seem to know every worthwhile happening!